While traveling we often get asked where we are from. When we tell people we’re from Eastern Canada, we usually get the confident response “oh, you’re from Quebec!” Of the 3 Canadian cities, most people have heard of (Toronto, Vancouver, and Montreal) Montreal is the easternmost. However, there’s still a lot of Canada hanging out east of Quebec. 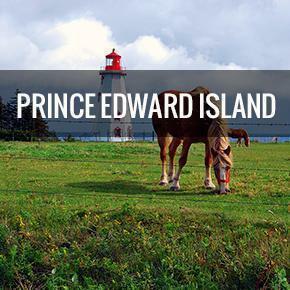 Nova Scotia, New Brunswick, and Prince Edward Island may be small, but what they lack in size, they make up for in personality. 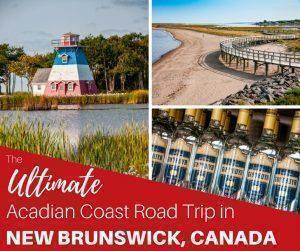 We Canadians call it “The Maritimes,” and we think there are many reasons you should visit us on the east coast. Note: If you hear someone mention “Atlantic Canada”, Atlantic Canada and the Maritimes are not quite the same thing. 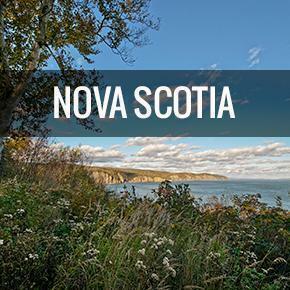 Atlantic Canada adds a fourth province to the group, the province of Newfoundland & Labradour. 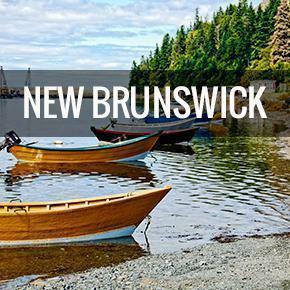 If you’re thinking of camping in New Brunswick, don’t overlook our beautiful Provincial Parks. 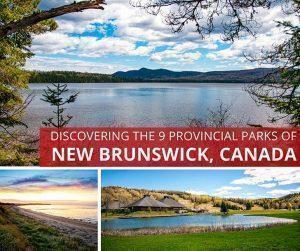 We share highlights from the 9 New Brunswick Provincial Parks with campgrounds for your next camping adventure. 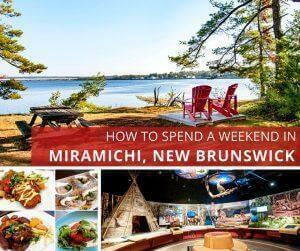 Miramichi is the largest city on New Brunswick’s Acadian Coast, but it’s not a typical stop on the tourist trail. This oversight is a pity because Miramichi is a hub for multicultural history and a gateway to outdoor adventure. 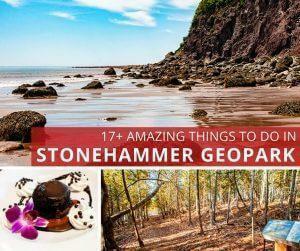 If you think a Stonehammer is to pound rocks and are wondering just ‘what is a geopark,’ head to Saint John, New Brunswick, Canada to discover the amazing activities UNESCO’s Stonehammer Geopark has to offer. 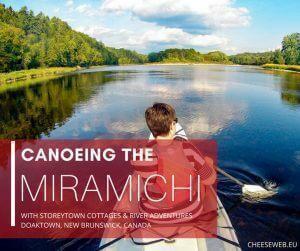 We give our ONAK folding canoe the ultimate test on the Miramichi River with Storeytown Cottages & River Adventures, Doaktown, New Brunswick, Canada. 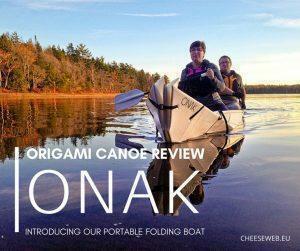 We introduce our Onak origami canoe and review our portable folding boat perfect for RV living.